New phone releases every week and if you want to switch your old Android phone to the new one, you have few options with your old Android phone. Either you can resell it, give it away, or just keep it by yourself. In any of the case, Coolmuster Android Eraser helps you to Wipe your old Phone data completely. Usually, when you are going to resell or send your old Android phone to others, to protect your privacy, you will delete data or do a factory reset the old Android phone in case of data leak. 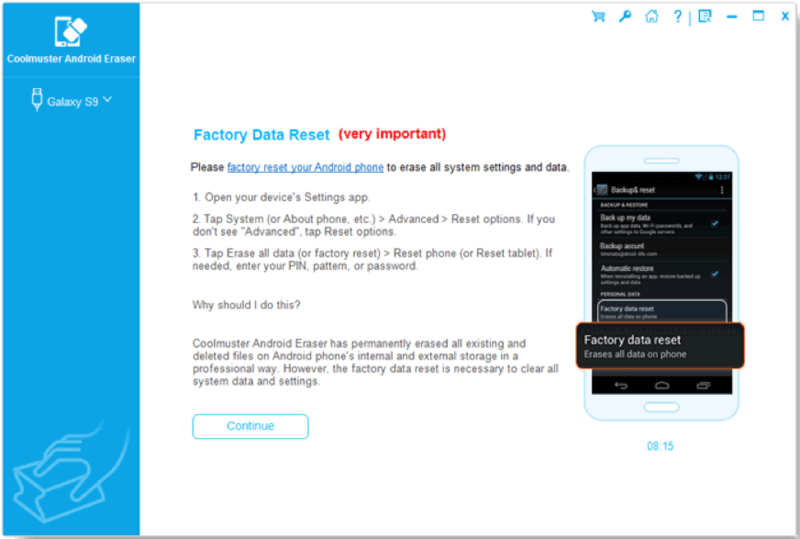 However, just by doing [delete] or [factory reset], it’s not safe at all, because of some professional Android data recovery like Coolmuster Lab.Fone for Android can help get the data back easily. 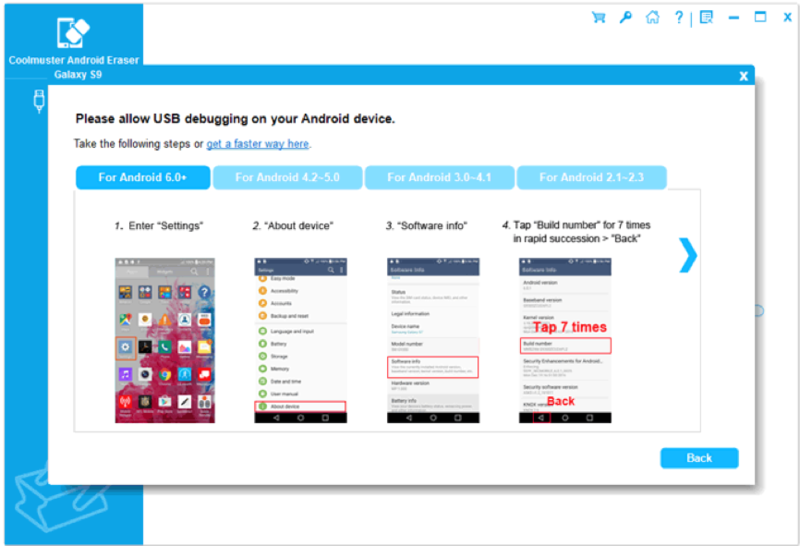 Here we share a professional Android data eraser tool called Coolmuster Android Eraser to wipe all personal data and history on your Android phone. It is proven that data wiped in this way will not be recovered anymore. No doubt that Coolmuster Android Eraser is your best choice for privacy protection. Why? 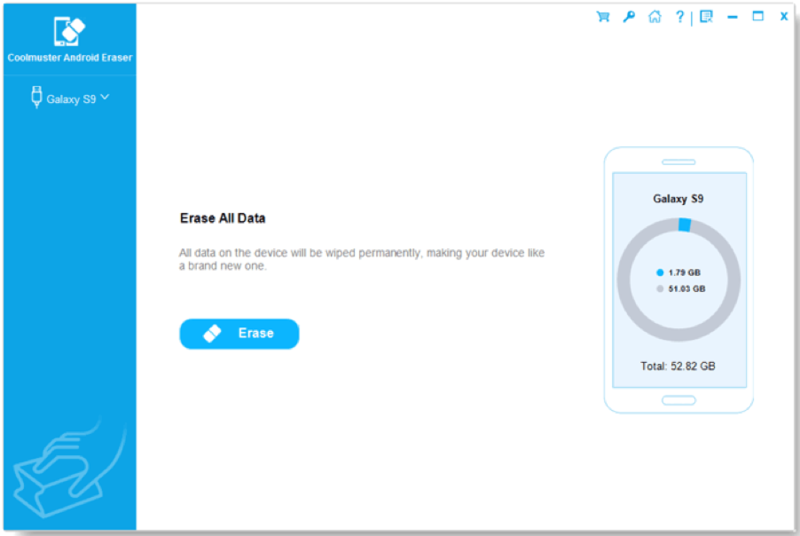 It can deeply scan out all data from your Android phone for permanent data erasure, including the deleted files, private data, and system settings. With its good compatibility, it works with almost all Android phones & tablets, including Samsung, Huawei, Xiaomi, HTC, LG, etc. Also, with its concise interface, it is proven to be easy-to-use so that anyone can use it without hassle. Low Level (Quick Erasure): The Low Level allows you to erase data on your Android phone/tablet quickly and efficiently. It destroys data on an Android device and makes the data unrecoverable. Medium Level (1 Time, Recommended): Besides the function of Low Level, the Medium Level also offers you 1 pass of random data to overwrite your existing and deleted Android data. Usually, it’s impossible to recover deleted data being overwritten by new data. So this data erasure security level is safer. 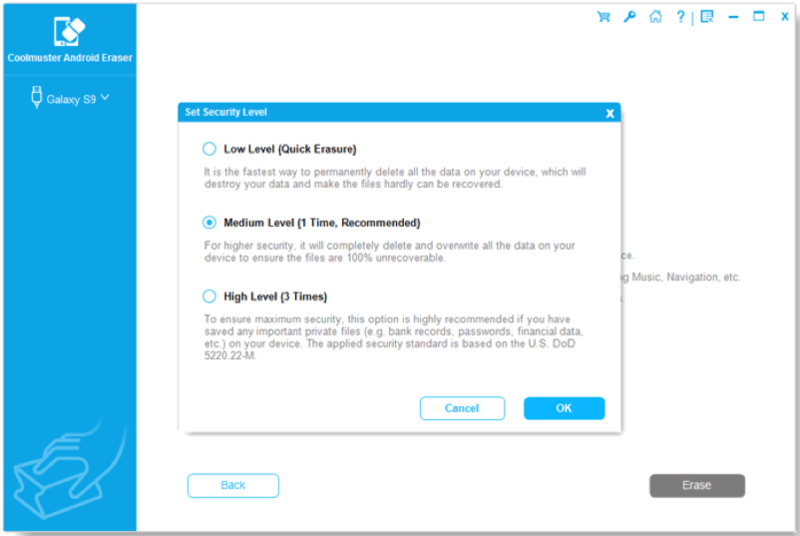 High Level (3 Times): The High Level takes the longest time but is the most secure data destruction option. By selecting it, the erased data will be overwritten three times. Its security standard is based on the U.S. DoD 5220.22-M.
With this powerful Android data eraser tool, all data will be wiped permanently, making your Android device like a new-brand one. 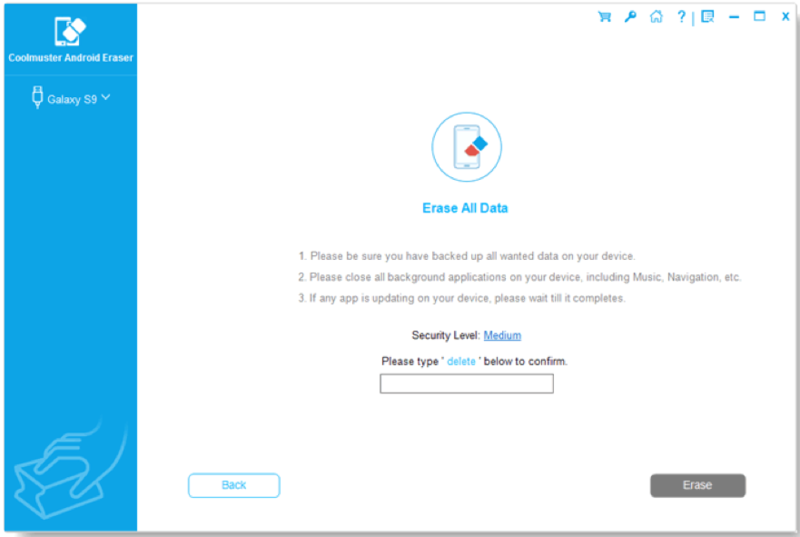 Note: As the data wiped by Coolmuster Android Eraser will not be recovered any more, if the data is important to you, please remember to backup data on your Android phone before starting the erasing process. Step 2: Click the “Erase” button to let the program wipe all personal data on your Android phone. Step 3: Choose Security Level as you like and type “delete” to confirm. Step 4: After that, click the “Erase”. The program will start to scan and erase all personal data and history on your Android phone, just wait a few minutes. 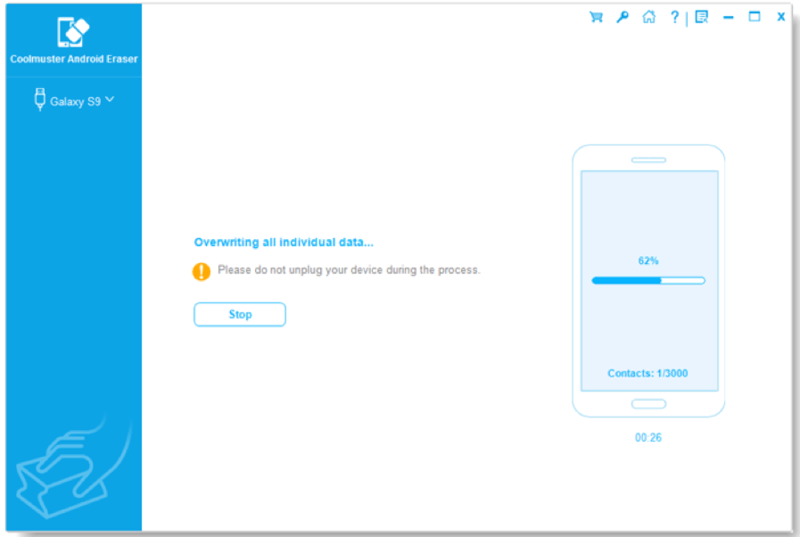 Step 5: After erasing, the program will overwrite your Android phone which makes the erasing data no longer recoverable. 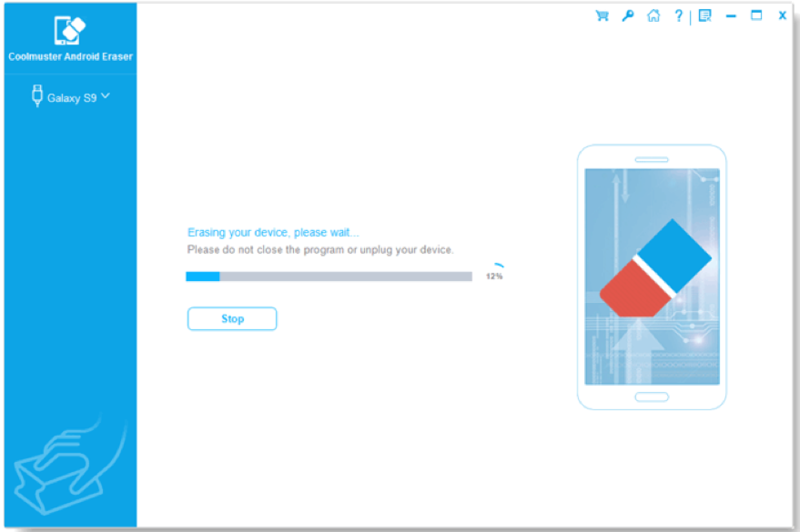 Step 6: When the overwriting process is finished, you are recommended to factory reset your Android phone to erase system settings on your device. And then click “Continue” to complete the whole process. Coolmuster Android Eraser can fully wipe everything on the Android phone and protect your privacy. The whole erasing process is very easy and safe. With its help, data can be permanently erased, such as contacts, text messages, call logs, photos, videos, music, voicemail, user names, Gmail account, passwords, apps, books, search history (Google history, Snapchat history, web history, etc. ), keyboard history and other more personal info. And there is no possibility to get the erased data back. So if you plan to switch to a new phone and resell your old device, don’t forget to wipe Android phone before selling with Coolmuster Android Eraser.